Alzheimer’s disease is one of the Neurodegenerative diseases, which cannot be cured or reversed! A new research has suggested certain factors which help in prevention and potentially reversing the condition. The factor is Extra virgin olive oil which showed effects on cognitive performance and brain health! The study was conducted on mice, and the gist of the study is mentioned here. Olive oil is an important ingredient of the Mediterranean diet. It is monounsaturated vegetable fat which is healthier than saturated animal fat! Mice were genetically modified so that it had 3 main characteristics of Alzheimer’s disease – Memory impairment, neurofibrillary tangles and build-up of amyloid plaques. Once the genetics were altered, mice started developing symptoms of Alzheimer’s. Olive oil was fed through diet to mice when they were around 6 months old i.e. before the onset of symptoms. These mice were then studied by various investigations at regular intervals. 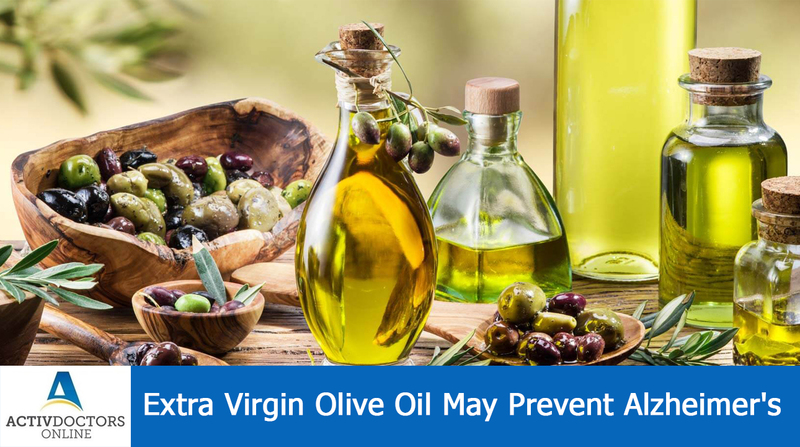 At 9 and 12 months, extra virgin olive oil was fed through diet on regular basis! The effect on the mice fed with olive oil was as follows – the integrity of synapses which is a part of brain cells that help in communication among neurons was preserved. Secondly, brain tissue revealed a dramatic increase in the activation of nerve cells. This was an important finding, as a decrease in autophagy was considered to be the first step for Alzheimer’s! Thus the study was conducted on mice which had not yet developed Alzheimer’s, now the study needs to be continued to understand the effect once the symptoms have developed!! If the benefit is derived even at this stage, then it would be a remarkable step in Alzheimer’s disease! !